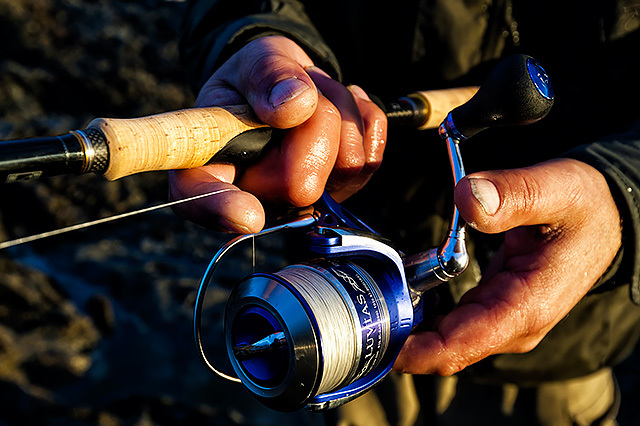 When it comes to spinning reels, there are two main brands to me - Daiwa and Shimano. Both companies make some class reels. This new Daiwa Caldia 3000-A Mag Sealed spinning reel is one hell of a lot of reel for the money. Very smooth, nice and light, the size for me is just right for most of the lure rods I might use for bass fishing in the UK and Ireland, and it smacks of quality. I reckon this is a real step up from the previous generation of Caldia reels. Comes with a spare spool. Have a look at my review here. I have only had this “Hi-Speed” version of the new 2016 Daiwa Certate 3012H for a short while, but it’s one impressive spinning reel so far. How smooth can a reel actually get? Nice and light, immaculate line lay, everything feels lovely and solid, and it’s a pure joy to lure fish with. Time will tell how this new 2016 Certate stands up to some longerterm use, but so far it’s one sublime piece of fishing tackle. Check out my preview/short term review here. I have really got into the 2500 size Daiwa spinning reels, and this Mag Sealed version of the famous Daiwa Caldia is a little gem of a reel. See my original blog post about it here. Comes with a spare spool. What more needs to be said about this spinning reel ? Pure class, with that incredibly smooth action that comes when reels start to cost this much money. A Daiwa Certate does not have its awesome reputation for nothing. Does not come with a spare spool. It’s amazing what you can get for under £100 these days, and this Daiwa Exceler 3000-HA is in my mind a classic example of a great lure fishing reel simply done right. So smooth, nice and light, indeed I can’t find anything not to like about this spinning reel, and I especially love the price. Class. Comes with a spare spool. See my review here. 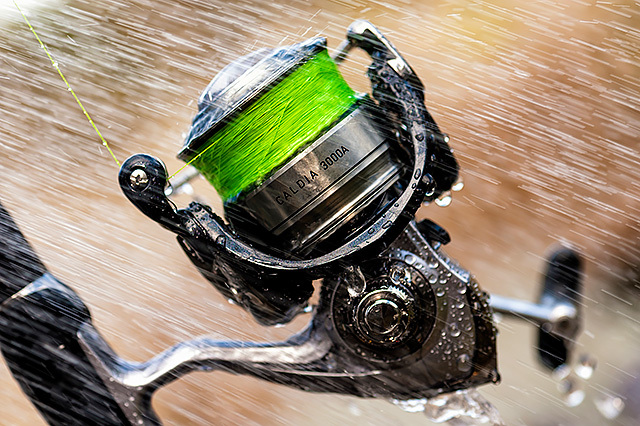 You can buy this reel here in the UK. My spinning reel of the year for 2011 – see here. I just love this “little” reel for a lot of my lure fishing. Very smooth, very light, a gorgeous drag, and it handles anything that I have been throwing at it. So comfortable to fish with. Just a very, very good all round lure reel that really is as light as a feather and as tough as old boots. It comes with a spare spool as well. For the life of me I can’t work out why these TDX spinning reels have not caught on that much amongst lure anglers especially, because people are missing out. 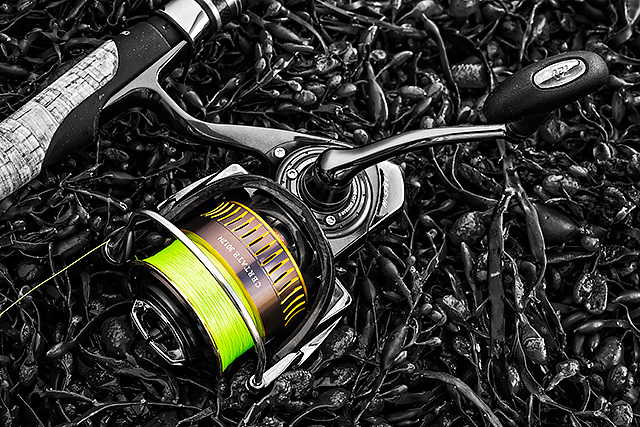 I have put this reel through hell, and along the way it’s shipped in a lot of saltwater – yet not for one second has it become any less smooth or easy to fish with. One of Daiwa UK’s little hidden gems if you ask me. Comes with a spare spool. The bigger brother of the 2508, this still small and lightweight Team Daiwa TDX 3012 spinning reel is a joy to fish with for long periods. What really impresses me is how smooth the drag is, and that includes me taking several dunkings and/or waves over my head. Of course I like the fact that this reel comes with a spare spool, and as much as I have spent years fishing with and loving all manner of Shimano spinning reels, these Daiwa ones are really growing on me the more I fish with them. Comes with a spare spool. New on to the market in early 2012, this new Daiwa Theory 2500 spinning reel has already left a big impression on me. See my thoughts on this blog post here. Hugely, hugely impressive, and for what I believe is very sensible money.